Hondas are by far the best choice vehicle no matter your financial situation for many reasons. We have had a total of 4 Honda automobiles within the last 20 years as well as 4 other vehicles that were made by different makers each. Our Hondas have driven and held up better by far and all cost less than our others to maintain. I can't say that this is true in all Hondas but for us we have only had one issue that was the same with all of our Hondas and not our other makes and that was the CV joints. 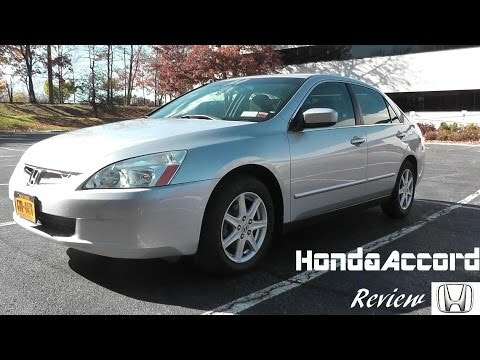 In our 2003 they have begun to go bad as they did after around the same time span (it is 2018 now so 15 years which is older than a lot of people chose to have a vehicle but with Hondas I would not hesitate and we have always bought ours at least a few years used. They make a loud clicking noise when you turn the steering wheel hard and we never had that in our other makes but that could also be because we did not keep them near as long as we do our Hondas. It is under $200 to have repaired or we priced parts around $60 if you are a "fix it yourself" person. That is not anything in would complain about being that it is the only major issue we have had that seems to happen with our Hondas more than the other makers. (It could even be something we should have had maintenanced but did not know because while we tend to taken the best way for us financially and beat way to guarantee you know all work actually performed etc we are far from mechanics (I can change tire, check oil and other fluids etc but it is my husband who is able to figure out how to do maintenance and repairs along with our best friends "Google" and "Youtube". Of all the different makes of cars out today no matter your financial status a Honda would be my choice above all others! Our 2003 Honda Accord is probably the best vehicle I have ever owned. We have had it for a little over two years now and we have yet to have any major issues. When we first purchased the car the only problem we encountered was that the only window that worked was the driver window. After research we discovered its a common default in 2003 Honda Accords, but it was an easy fix we completed in our driveway. The gas mileage is amazing. $20 in gas can take you very far in this car. It's perfect for my boyfriend, our two children, and myself. Plenty of trunk space for our grocery trips. Sometimes it's a tight squeeze if we add someone in the back seats with the car seats but we still fit. Very smooth riding and has been very reliable. Most reliable car anyone I know owns. The 2003 Honda is a great for new drivers. Will get you from point A to point B. The Honda Accord is a great car. It runs very well and its pretty good on gas. I usually drive a lot for work and hanging out with friends and I fill up usually once a week full tank and sometimes depending on how much I drive I have to full up a half tank or so. Even though mine is a older Honda I feel like it drives smoothly and does great. My miles on the car are pretty high around 250,000 miles therefore that's why I think it's doing so well. Now while I think the car runs great there is problems with it also. The air does not work great anymore I am always charging it for it to work better but it always is dying fast. Another problem is that it uses oil a lot, it takes a lot of oil all the time.